We hope that your last few days have been just as incredible as ours. Thursday we got into the full swing of things with the chanichim having their first morning filled with a kitah (an educational class), chug (elective) and limud schiya (instructional swim). In the afternoon we enjoyed a beautiful day outside and we were busy the whole afternoon soaking up the sun. 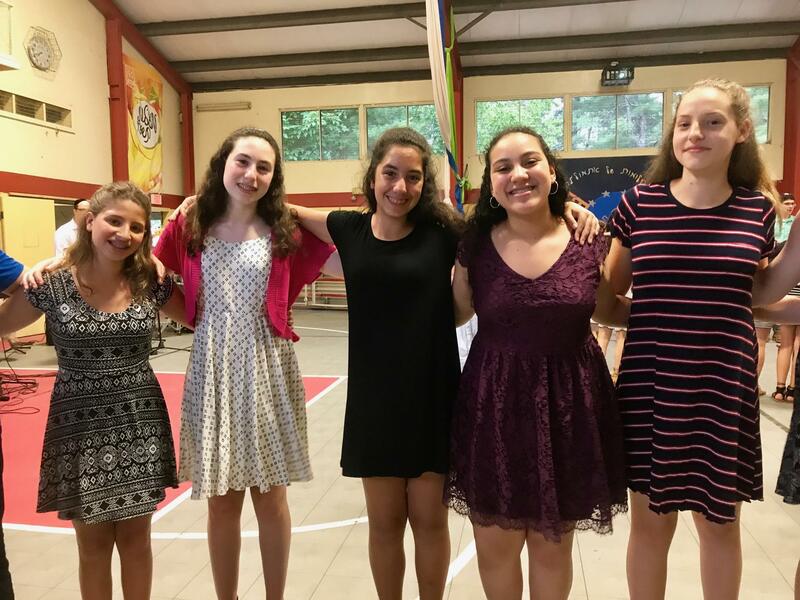 The banot (girls) had a yoga class taught by Yavneh’s resident yoga master while the banim (boys) topped off the day by playing a game of matt ball, a classic gym class favorite. Thursday night we were also introduced to the theme of the summer, “al tikra banayich ela bonayich”, through a very interesting and interactive peulot erev run by our morim. The chanichim were challenged to ponder if they were traditional and set in their ways, or builders of the future and tasked with debating the pros and cons of both alternatives. 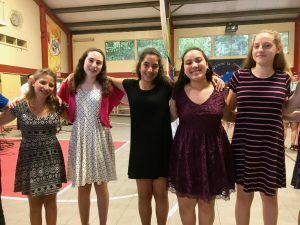 Friday morning was again filled with the usual three morning peulot that the chanichim started with on Thursday as the excitement started to build for Shabbat. 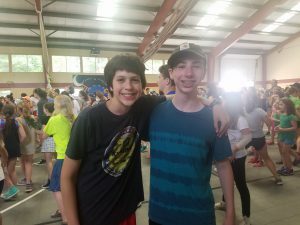 In the afternoon the banot enjoyed a dancing peulah with their madrichot and the banim had fun playing handball and soccer. Friday afternoon we welcomed in Shabbat with the usual ruach and kavannah that accompanies a Yavneh Shabbat. After an early mifkad (flagpole) we joined the entire camp in the Beit Am for Ruach Lifnei Shabbat (ReleSh). After ReleSh we filed into the Ben Tzvi to avoid the torrential downpour and sang beautifully throughout Kabbalat Shabbat and Maariv. We then ate a delicious Shabbat dinner prepared by everyone’s favorite Yavneh Food Service. We finished the night by celebrating the fact that we are now in upper camp and joined Leviim, Maalot and Kerem in singing and dancing Shabbat zemirot. Shabbat day was filled with more ruach and gave everyone an opportunity to spend some free time relaxing with friends. As Shabbat came to a close we again gathered together as a camp and sent off Shabbat with Havdallah and Rikudim. We are already counting down the seconds until Shabbat comes again! Yesterday we started ketzev which is now just a short week and a half away. The boys started to learn their ketzev dance which will be performed this week for the entire camp after Havdallah and the entire aydah started to work with Bentzi to learn our songs. We are looking forward to this week and can’t wait to fill you in on our week ahead!